To get to the Knolls Recreation Area in Utah travel west on I-80 towards Wendover for approx 1 hr 45 minutes, until you see the Knolls exit signs(Exit 41). The terrain at Knolls varies from small dunes to rocky trails to mud flats. The dominating feature here is whooops. Trails stretch in all directions in the sandy terrain. There is a lot of room here to park trailers and camp in a variety of different locations. Usually a spot can be found that will give you at least some type of sanctuary from the crowds. Road improvements have been made recently, but be careful as some areas are soft and a trailer can be sunk in quickly. 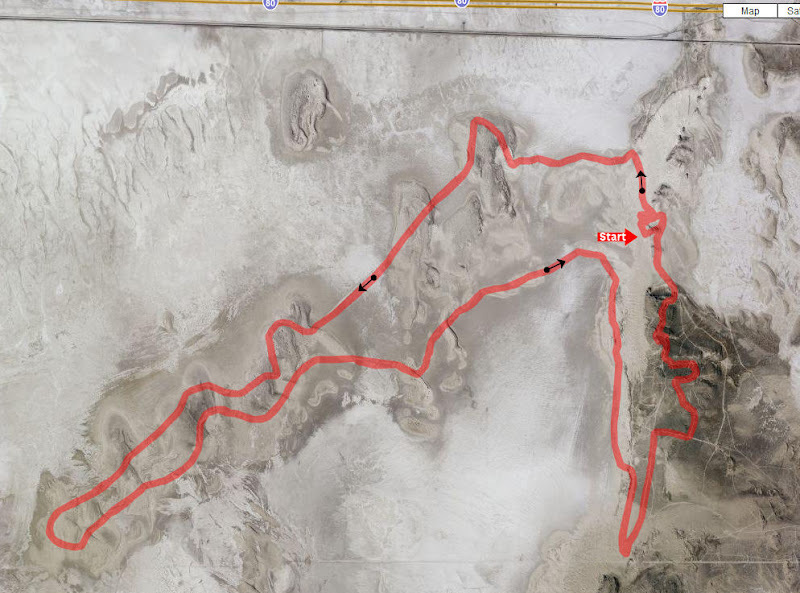 Knolls is a good area to ride in the winter because it's location in the low desert and because of the composition of the soil being composed of mostly rock and sand. It is also a good alternative to many of the other areas in Utah because of it's close proximity to Salt Lake City and surrounding areas. Spring and Fall are also a good time to go to Knolls. If you'd prefer to follow google maps, you may click The "Directions" link on the map below and enter your start location, or click the icon to the right and open with mobile maps on your mobile. The last time we were there, the fee was $6. 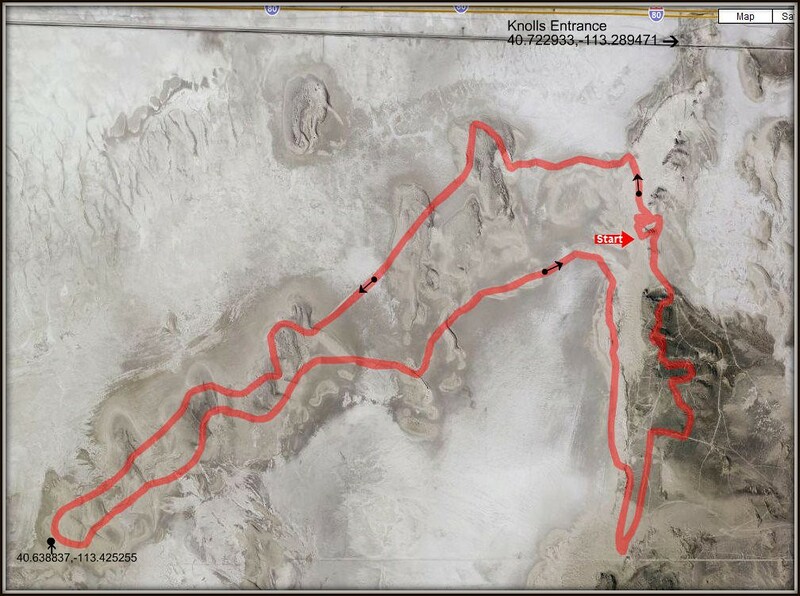 Shown below is a map of the "Knolls Knockout" race course put on by the Desert Foxes. The loop is approx. 28 miles. If you get a chance to ride this loop it really combines a lot of the best parts of this area into one pretty nice ride. Be prepared for a lot of whoops! The pictures below are are produced by a couple of dynamic weather/traffic cams positioned near knolls along I-80. The first is at mile marker 55 on the Grassy Rest Area pointing West towards Knolls. The second is at mile marker 40, just one mile East of the Knolls Turn off. They update regularly and are a good indication of the current conditions at Knolls. View TRIP REPORTS For Knolls.